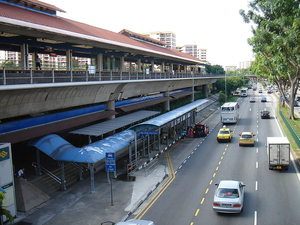 Khatib MRT is located along Yishun Ave 2 and Yishun Ring Road, area in North Region Singapore. Due to its great area and presence of contemporary facilities, Khatib MRT nearby HDB Estate and industrial property has become one of the favorite destinations for the property buyers and investors. All kinds of amenities and facilities required for residents and investors are available in this area. A number of entertainment complexes, shopping centres, medical units, variety of community societies and restaurants, all these are within vicinity of Khatib MRT. Nearby reputable school in Khatib MRT include Ahmad Ibrahim Primary School, Chongfu Primary School, Christ Church Secondary School,Canberra Secondary School and many more.